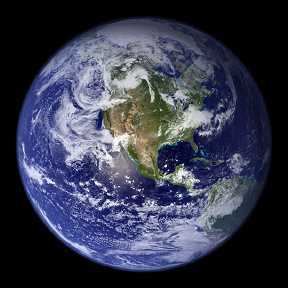 Our blue planet seen from space, courtesy NASA. July 20, 2002 Corvallis, Oregon ­ A study by the World Wildlife Fund (WWF) was released this month which says that at the current rate of extinctions in 350 mammals, birds, reptiles and fish studied by scientists, in the middle of the 21st century, the oceans will be empty of marine life, forests will be gone and 25% of the world's mammal species could be extinct. Human over-population will have polluted water everywhere.